To sleep, perchance to dream. Ay, there's the rub: You're addicted to your blue light-shining phone, there's a bunch of crap on your bed, your neighbors throw parties starting at 4am, there are two sweet, unwatched hours of The Bachelor burning a hole in your Hulu account, and you keep turning your alarm off while you're still under the cover of REM, which puts a damper on the whole thing. Sure, you can sleep in your old college sweats or [gasp] in the buff and save the cash, but this is the triumphant return of Five Cool Things and we're going to suggest some luxury items for the heck of it! First of all, Brother Vellies' Shearling Mules are appropriate year 'round (warm in the front, bare in the back), and chicer than Uggs, no matter how many pairs Tom and Gisele stock in their front hall. Pair with a matching set from Morgan Lane or Sleepy Jones and shock yourself with how early you'll start getting ready for bed. Who hasn't "accidentally" turned off their phone alarm in their sleep and ended up snoozing until 10am when you were supposed to be up and ready to go at 7:15? Well, there is a very easy solution to this. Stop using your phone as an alarm! Instead, get yourself a proper alarm clock, post it halfway across the room, and make sure you don't get back into bed after turning it off. Make it high-design, too—like this one from MoMA Store. Obviously. What more exciting way to say emphatically "I want to spend more time in bed" than investing in some new linens? Today's suggestion: Go completely monochromatic with Powder Sateen everything from Parachute. New sheets make everything better. Namely Joanna Vargas' new Twilight sheet mask. It's soaked in plant-based epidermal growth factor to nudge skin into regenerating itself more quickly. But while it's moisturizing and renewing, it's also soothing—with witch hazel and niacinamide. Awake with the glowing baby skin of your dreams becoming reality. For extra glamour, throw a silk eye mask on. The one photographed is Morgan Lane, but Slip makes a good pink one, too. Aha! The crux of it all. Experts say a good night's rest is dependent on adequate wind-down before bed. So what to do? Fans of the nighttime shower might like the True Botanicals Nurturing Body Lotion—it's organic, it smells fresh, it soaks right in, and it's in a recycled pump bottle for lazy application. 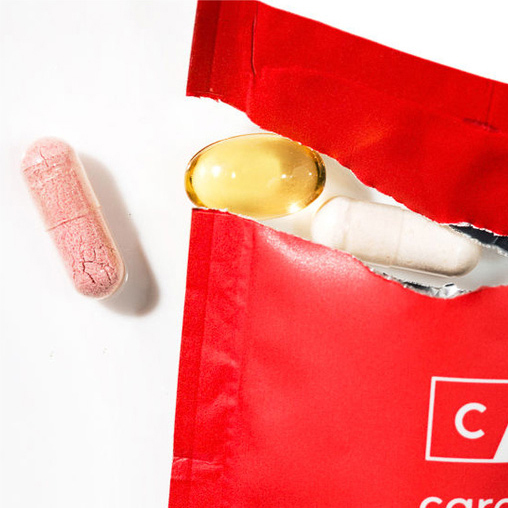 For a little more zest, try popping one of Perricone MD's new Sleep Booster pills. Don't worry—it's just fancy magnesium and meltonin in a nice bottle. But that certainly doesn't hurt it. If that isn't enough and you're just dying to know more about your sleep cycle, check out Eight. It's a mattress pad that you plug into the wall, connect to your wifi, and integrates with any other smart technology you have lying around (Nest? Sonos? Alexa?) to find out new ways to improve your time spent unconscious. It'll even heat up your bed if you want. Better than a lover? Dunno! You tell me. Duckie Thot (Elite) photographed by Tom Newton. Styled by Beverly Nguyen. 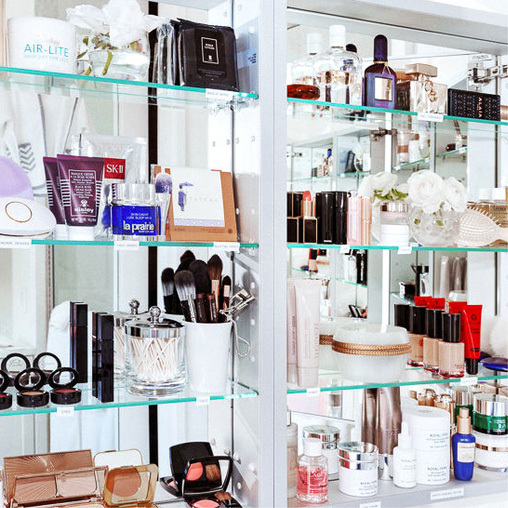 It's ITG, but shoppable. Explore more Five Cool Things here.